"The Lightwoods, the Shadowhunters who run the New York Institute, are expecting a new addition to their family: the orphaned son of their father's friend, Jace Wayland. 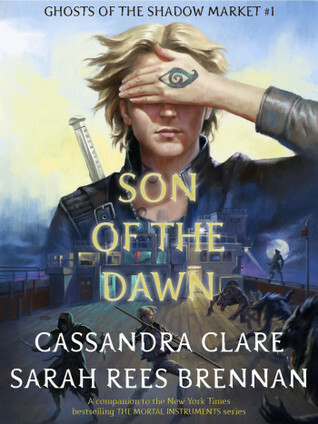 Alec and Isabelle aren't too sure they want a new brother, and their parents are not assuaging their fears, too occupied with the dark news that Raphael Santiago, second-in-command of the New York vampire clan, has brought from the Shadow Market." Oh man this was such a good story. I loved getting to see Jace meet the Lightwoods for the first time. It was a bit heartbreaking though because he is clearly very closed off and scarred by his upbringing. It warms my heart to know that he will be okay in the end. And Brother Zachariah, or Jem as I will always call him, OMG he broke my heart over and over. When he thinks of Will and Tessa, it just hurts me. He clearly still loves them so much and him living without Will hurts him. Will and Jem are my favorite and this story hit me right in the feels. I cannot wait to read the rest of the stories in this collection. Hi my name is Kimberly and I've been living under a rock. LOL This is my first time seeing this and it sounds great!